© Mihaela Bodlovic, Ian McDiarmid as Enoch Powell delivering his `River Tiber’ speech in 1968. In the background, Amelia Donkor as `black’ academic Rose Cruickshank. 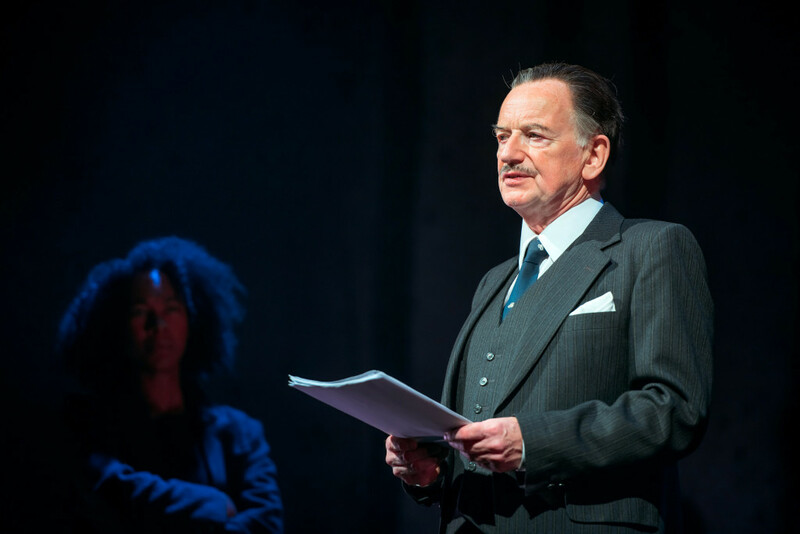 This entry was posted in 2017, Reviews and tagged Birmingham Repertory Theatre, Chris Hannan, Englishness, Enoch Powell, Ian McDiarmid, immigration, Park Theatre, racial divides, Roxana Silbert on October 5, 2017 by Carole Woddis.